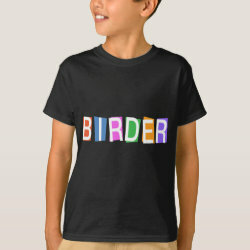 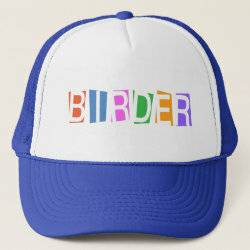 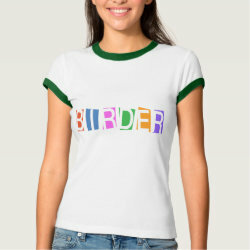 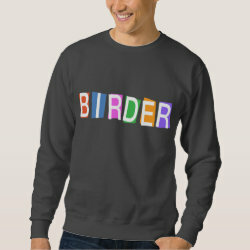 The moniker BIRDER is spelled out using plain white letters on colored square background. 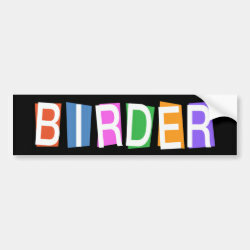 The letters spill out of the colors, giving this fun design a totally different look on dark backgrounds versus white or light backgrounds. 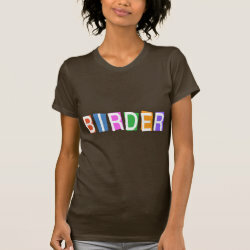 This whimsical text design is perfect for any birdwatcher!